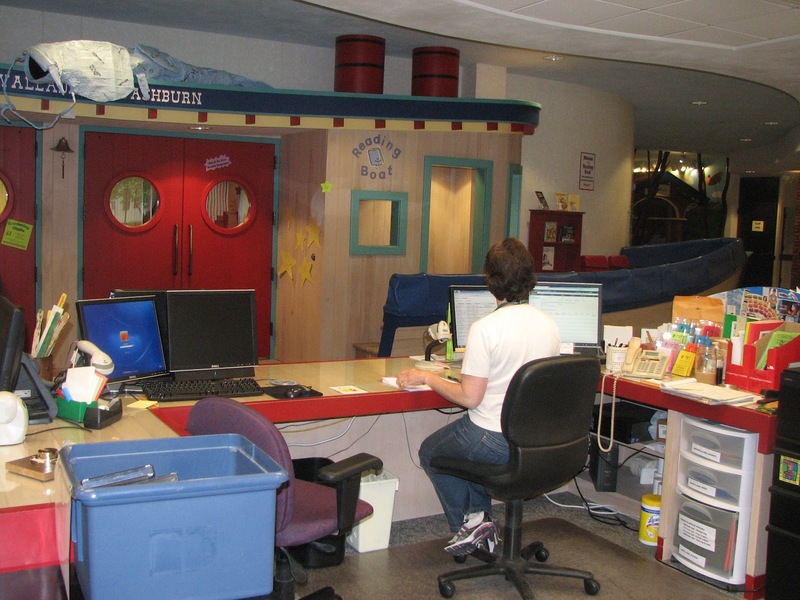 How many of us have been victimized by the "bright" idea of a director, architect or board president who thinks it would be a swell idea in the building project/remodel/re-do, to put a giant something in the middle of the Children's Area? "It will be a centerpiece, a signature piece, a piece de resistance," they coo. "It will bring people from miles around who will remember our library forever." 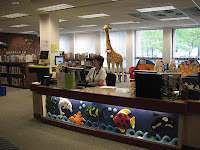 No matter what the children's staffers say and suggest (how about a wall mural; perhaps a small reading nook shaped like a boat or train; maybe a sculpture that climbs a pillar; could we have a stuffed bear chair), the project plods on and soon there is a ginormous elephant or boat or dragon or wooden climbing wall or structure that is just the perfect size for little children to climb, run, roll, leap, jump, scale, and cavort upon. Goodbye sanity. I speak from experience. We have a boat facade with deck, wheelhouse and aft house (or whatever) that spans over half the wall on the long side of our room. I knew we were in trouble when I interviewed for the job three years ago and I saw that rather than the service desk facing the room, it faced the boat. Yep. When we serve our public our backs are to them because the boat and patrolling behavior is the most important part of our professional work. I took the job anyway. The boat forced desk staffers to be negative constantly (stop/no/don't/can't) or simply ignore the scrum and be beat down by the nuttiness. For the first time in my long and non-storied career, I found myself hating who I was becoming. Rather than welcoming, we were curtailing or by ignoring and not taking control, we sent the message that we weren't in charge. Staff was stressed and hated working the desk. You couldn't hear people in front of you or on the phone asking reference questions and any work was almost impossible because of boat chaos a few steps away. Through sheer force of will, we have curtailed the running, leaping, broken limbs and other gymboree behavior. We did it by simply making the decision to control the space by making it what it had originally (ha!) 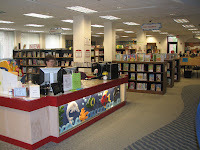 been intended for - a place for quiet reading. My colleague Sara helped us develop some child management mojo and we forcefully turned the boat to reading. 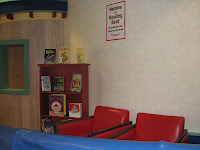 Chairs are on it; books are everywhere (and changed frequently) and we ask kids to read on it - or leave. And for the most part it's working. During school age class visits we say, "When you were little, you may have run or jumped on the boat. 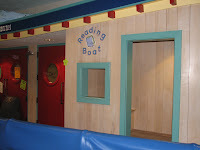 But now it's a reading boat and you read on it. Cool, eh?" When I was hired, I was told that the boat would be taken away. Ok, fine with me. We desperately need the space for materials. I don't know if there is enough will to follow through. We have made the best lemonade that we can out of this beastly lemon. ...please, if you are a director or an architect, do not let your ego get in the way of a sane space for kids. Do not create a monument to stupidity by literally inviting kids to leap off 5 and 6 foot "features". Talk to your youth librarians and they will help you create something just as special that truly will be memorable without being hated. Really. Truly. I mean it. omg, you are a boat library? I never knew! 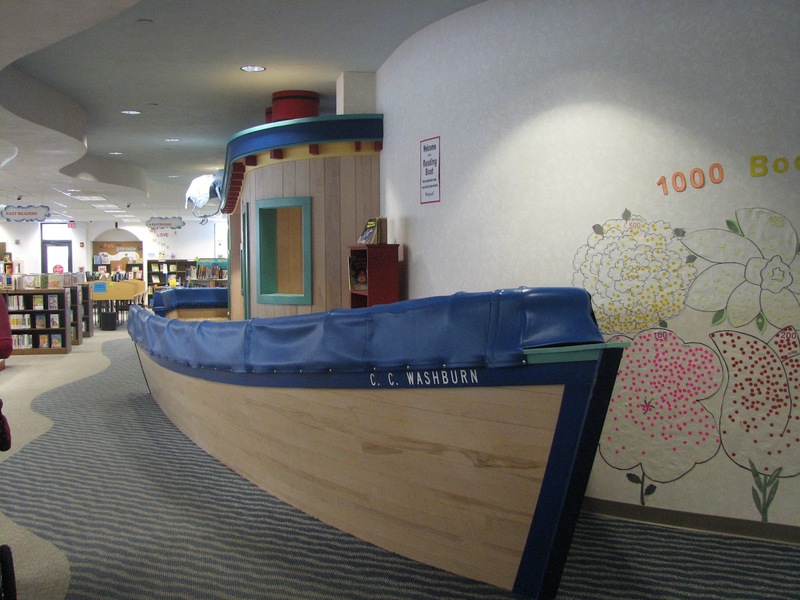 I was just at a workshop on early literacy spaces at Fitchburg and the presenter showed a bunch of pictures of boats in libraries - apparently this is a huge trend I have never heard of. I feel for you...deeply. I'm going to jump on your boat when I'm at the WLA Conference. We have a puppet tree. It is adorable, except when children decide to climb it! Have you ever seen the picture of the library that has a SANDBOX in it???? Yipes! Who thinks of this stuff? we had a pyramid. We still have a bunch of pyramids in our department. Because nothing says children's department like pointy edges.